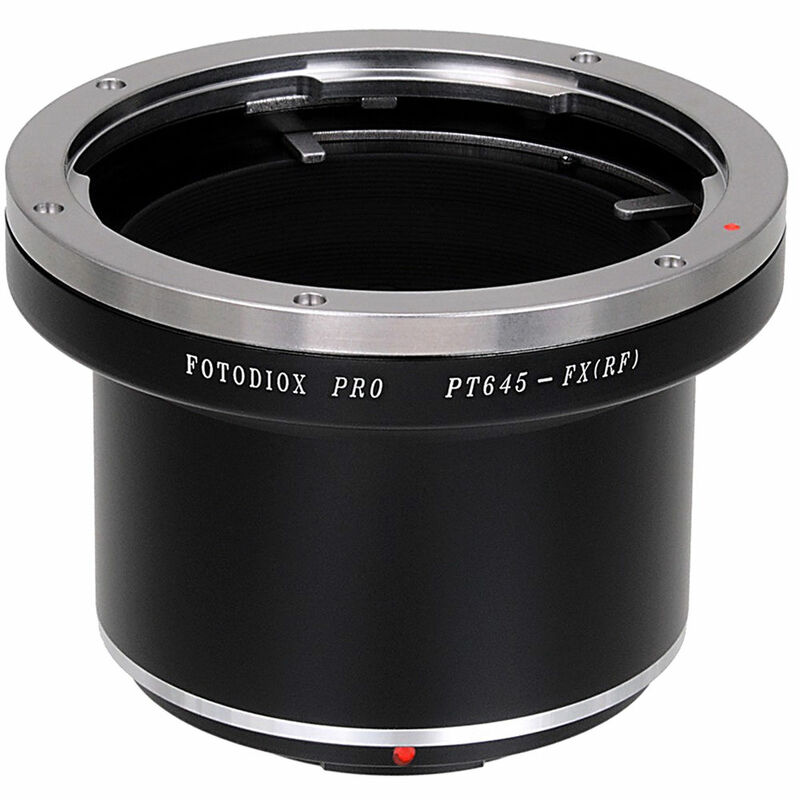 The Pro Lens Mount Adapter for Pentax 645-Mount Lens to Fujifilm X-Mount Camera from FotodioX allows a Pentax 645-mount lens to be used with a Fujifilm X-mount camera. It is designed to support focusing to infinity, and is constructed from brass along with a stainless-steel lens mounting ring to provide a durable, yet lightweight camera-to-lens connection. This adapter does not support electronic communication between an attached camera and lens. After being placed on the front of the adapter, focus and aperture controls on a compatible lens would continue to be used. To help prevent stress on the camera mount if the supported camera and lens combination is to be placed on a tripod, the Pro Lens Mount Adapter for Pentax 645-Mount Lens to Fujifilm X-Mount Camera includes a detachable tripod foot that features 1/4"-20 threads. Box Dimensions (LxWxH) 4.4 x 3.7 x 2.6"